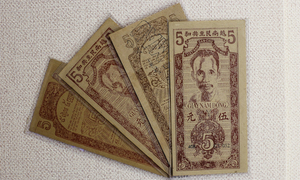 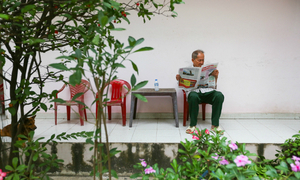 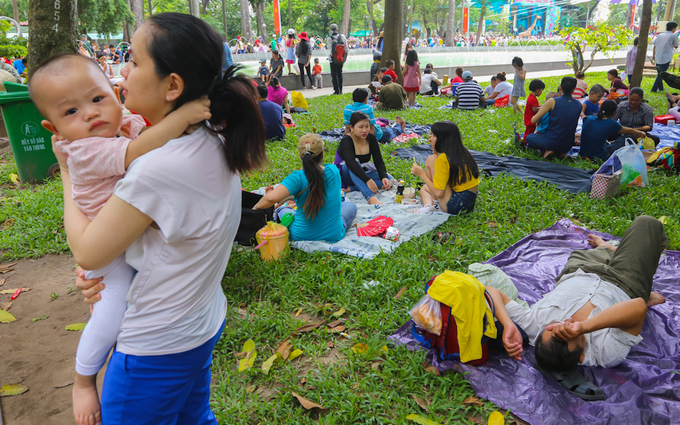 Families in Ho Chi Minh City flock to the historic Independence Palace or enjoy a day out in the zoo. 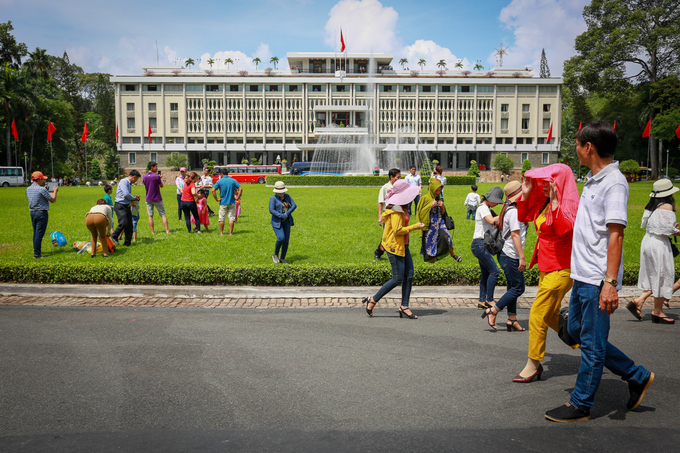 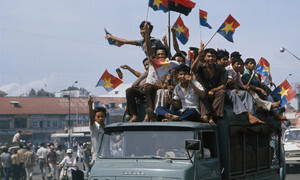 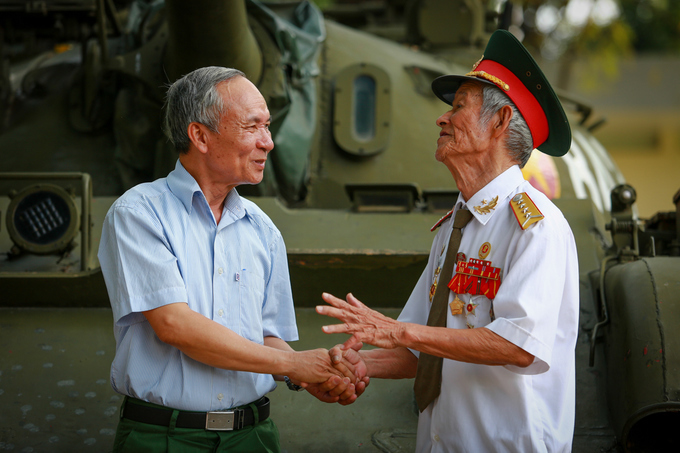 The Independence Palace in downtown Ho Chi Minh City becomes the top attraction on Sunday as the country celebrates 42 years of reunification. 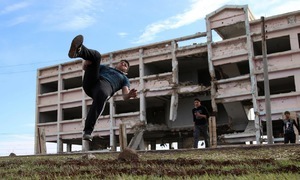 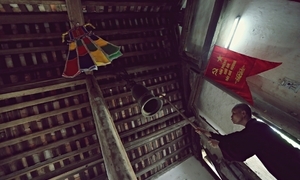 Many families from neighboring provinces also come here. 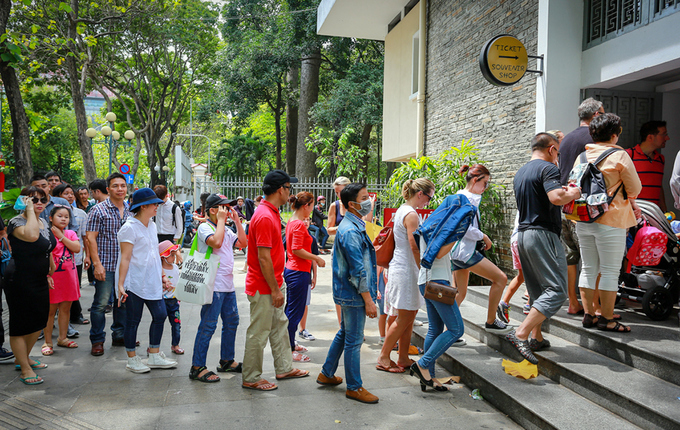 Long lines in front of the ticket counter as foreign tourists join locals. 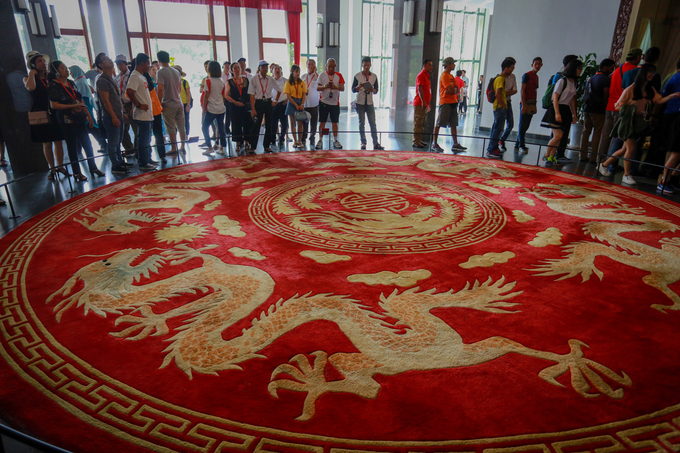 The famous round dragon carpet of the palace. 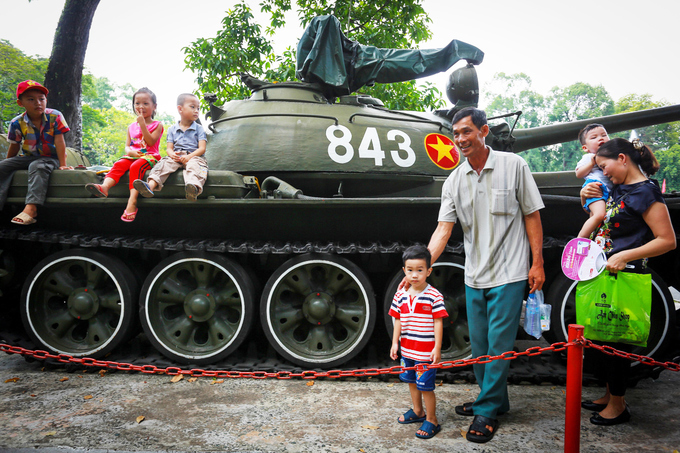 ... and for families to take pictures with the legendary tank No 843, which drove into the gates of Saigon's presidential palace on April 30, 1975. 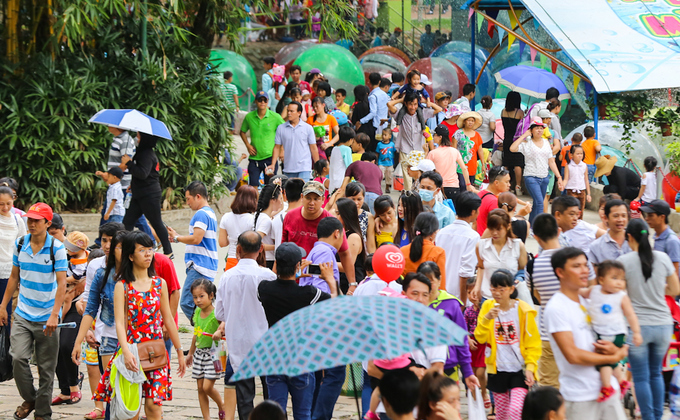 Many also bring their families to Saigon Zoo and Botanical Gardens on the second day of the four-day break. 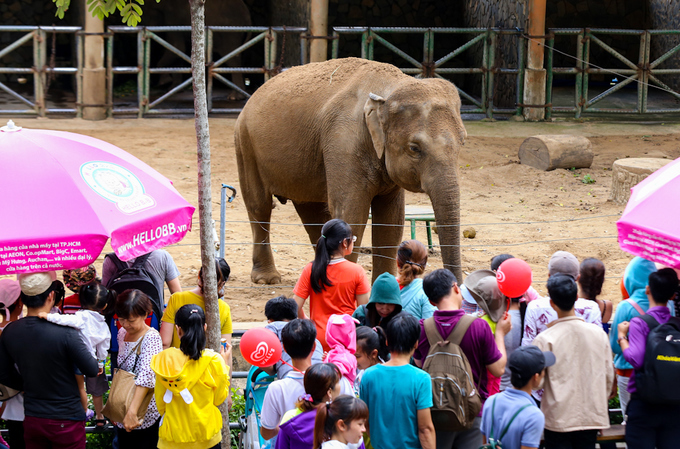 The elephants are always the children's favorites. 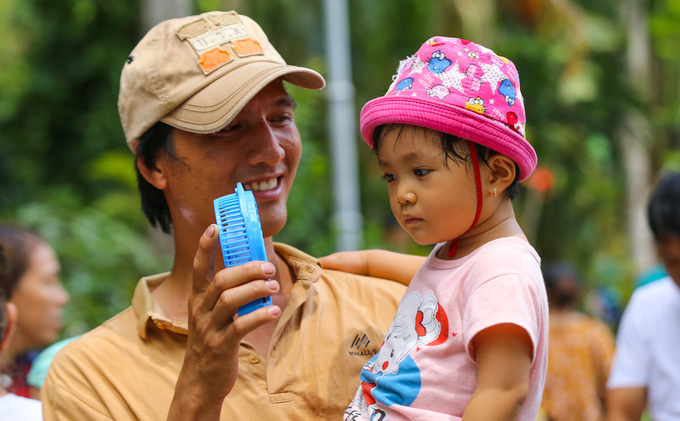 A father from Dong Nai Province has to buy a mini-fan because his daughter cannot take the early summer heat. 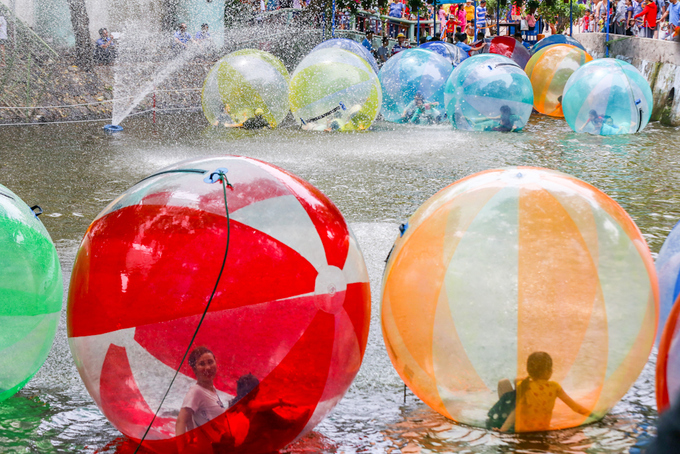 Other children choose to play with water, sort of.